Last weekend we attended our friends' wedding in the sunny South East! The wedding venue was the breathtakingly beautiful Dunbrody Country House Hotel in Arthurstown, Co. Wexford. It was such a beautiful wedding & of course the addition of the amazing sunshine really made the day sheer perfection! 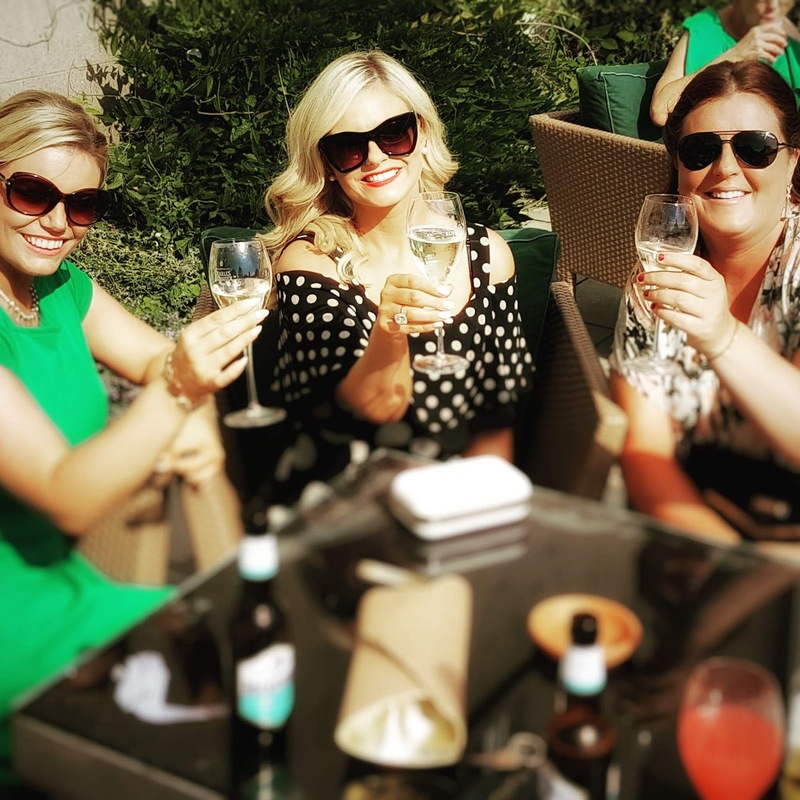 Here we are sipping our champers whilst basking in the summer sun in the beautiful Dunbrody House gardens - we really felt like we were at a wedding abroad! It was just heaven! 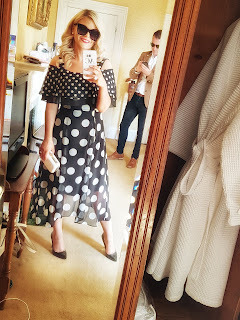 I love polka dots & as they are so on trend at the moment I decided to wear just that for Emma & Eoghan's big day! I chose this classic monochrome midi length polka dot dress from Coast. I love the simplicity of the monochrome polka dot & the length & style of this dress is really classic. 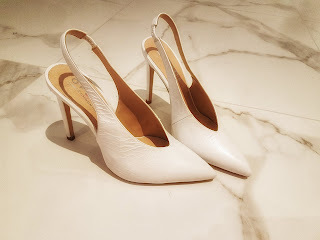 I wanted to add the on trend v - shape pointy toe white stilettos to complete the look that I had in mind & I ordered these beautiful white heels from Office! 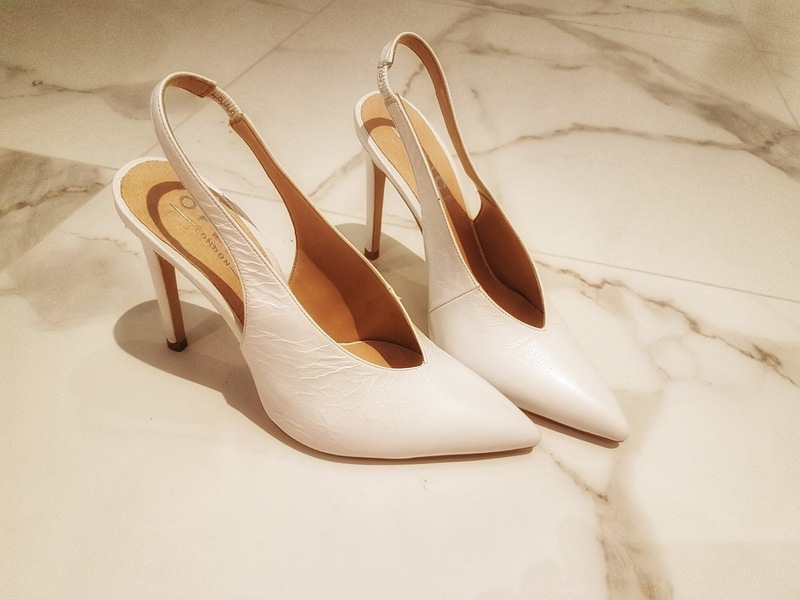 However, anyone following me on social media knows that unfortunately my order did not arrive on time 😌 I was not a happy girl but my sister Laura came to the rescue & lent me her beautiful black pointy toe heels from Office. Looking at the pictures now I think the black work well too! Although the white shoes have arrived this week & I'm so in love - I am def. keeping them! 😛 #Happyendings! 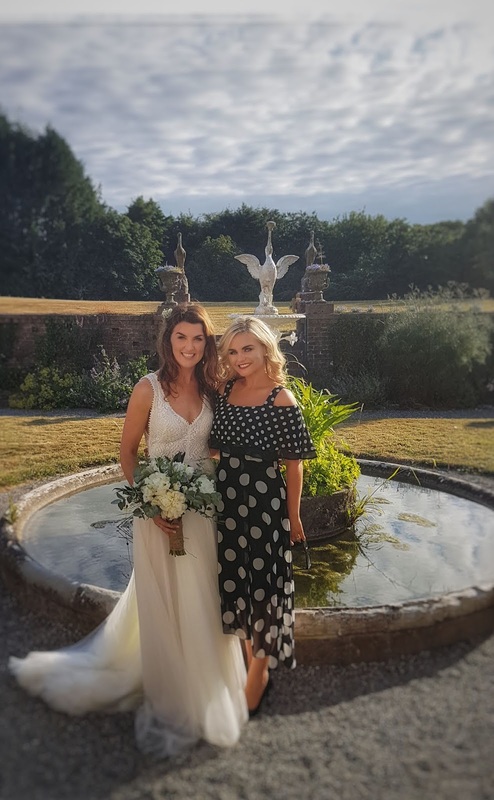 Recently you may have seen the fabulous Holly Willoughby wearing a similar Coast dress but with the small white polka dots & you will see Holly themes hers with a black barely there sandal, so there really are lots of options when it comes to styling it. 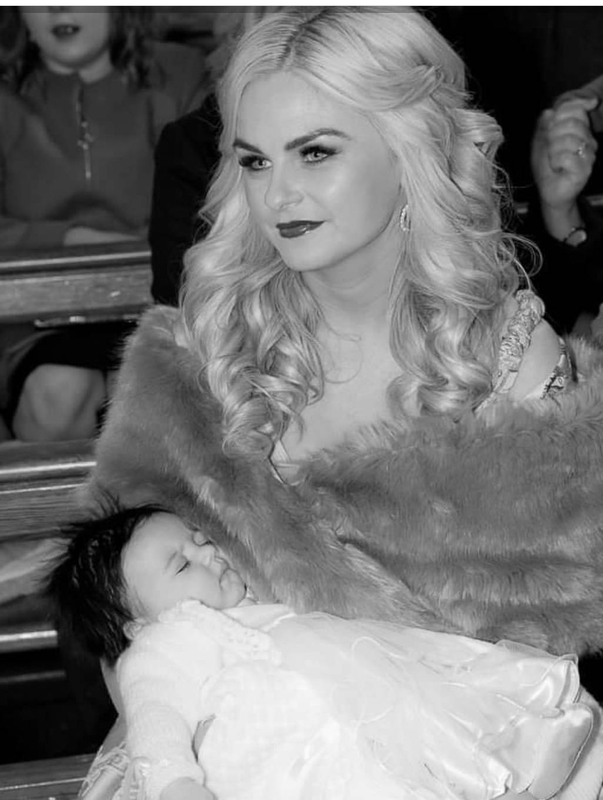 Also you will see that Holly styled her dress with the bardot strap under her arm making the dress appear strappy with a ruffle detail. I wore mine showing the bardot neckline but I do love that you can wear it both ways & make the dress look different - next time I might try it Holly's way! Also the Nadine polka dot dress worn by Holly is currently sold out in Coast - anything Holly wears sells out - she looks incredible here! I paired the dress with a little white patent clutch from Penneys - although it is really tiny & it didn't even fit my phone but I thought it looked cute for pics!! A Summer wedding is always very beautiful but an Irish Summer wedding when the sun shines like it did is so incredible! Someone obviously put out the Child of Prague!! The Bride, Emma absolutely stunned in her beautiful flowing wedding gown - she really looked so effortlessly chic & elegant. 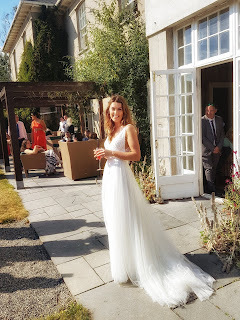 There was a lot of fun had & many many memories made at Emma & Eoghan's wedding! We ended the day dancing under the stars in the beautiful Dunbrody gardens, to the sound of the amazingly talented Ben & Ian Cully! It really was such a perfect day! Congratulations to the new Mr. & Mrs. O' Flaherty! I just wanna express profound gratitude for the author and want you to enjoy all that life has to offer for coming! Then it comes to the problem of the dress fabric. The choice of fabric can be anything from satin to chiffon. 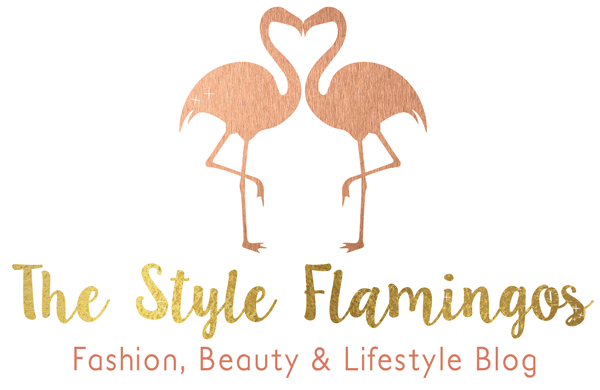 The only criteria is that the fabric must be body fitting. For a wedding nothing looks best on man than a custom made tuxedo . Tuxedos have been always in trend for the wedding day. Time evolved and so has fashion but trend for tuxedo has not changed. Great idea! 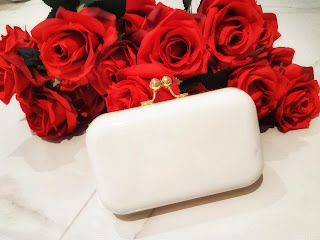 Awesome blog to read, i think wedding cars are the key element to make our wedding occassion in an elegant style. i take my wedding car in the top most wedding car rental in chennai. this is also the right choice to choose wedding cars for you.